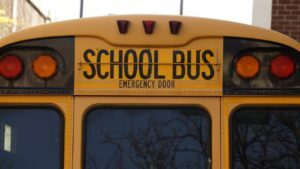 School Bus Accidents - The Law Office Of Richard J. Banta, P.C. Victims of a school bus accident often direct their case to a skilled bus accident lawyer from Richard J. Banta, P.C. When you rely on our services to handle your case, you are depending on a firm you can trust. In today’s society, families may find they need to use school bus transportation in order to transfer their children from home to classroom, or for a day field trip. While dealing with the daily demands of life, the last thing a parent needs to worry about is if their children arrive at school safely. A bus used to transport students is considered school property and is the role of a school to not only education your children, but to protect them while in their care at all times. A school district has the responsibility to prevent accidents that can occur through negligence, whether that is a faulty staircase, spill, trespassers, or hidden dangers on the school bus. Failure to intervene in an appropriate amount of time to a fight between students while riding on the bus can lead to serious consequences. School bus collisions at streets, intersections and stop lights while on the way to and from home are always a possibility. Unfortunately, even with seat belts, mirrors, and emergency exits, buses can still lack safety features and result in tremendous trauma to your child. Despite being equipped with swing-out stop signs, accidents still most often occur when children are exiting the school bus. A crossing-guard can reduce the possible dangers for when a child needs to cross the street, but if they are not present every day to provide this assistance, it can have dire repercussions. A school district can be held responsible if a child is injured at a street where a cross-guard would typically be working, but was not available for that day. In all of the above scenarios we described, the school can be held accountable. At Richard J. Banta, P.C., our focus is on personal injury law and work diligently to bring considerable compensation to clients. When you choose our services, you can rest more easily knowing your Denver CO bus accident lawyer is tirelessly working on your behalf. As a parent of a child living in Denver CO, you hold the right to claim your child’s injury against the party at fault. During the filling and litigation process, it may be an increasingly emotional time. We can help you through every process and can bring your family restitution. As painful as a proceeding may be, we can aim to alleviate your stress associated with such a terrible accident. Regardless of the circumstances associated with your child’s accident, you are likely highly considering contacting a bus accident lawyer Denver CO clients recommend to represent the injury case. Give us a call today for a free consultation, where our staff is ready and available to meet with you to discuss your case further.